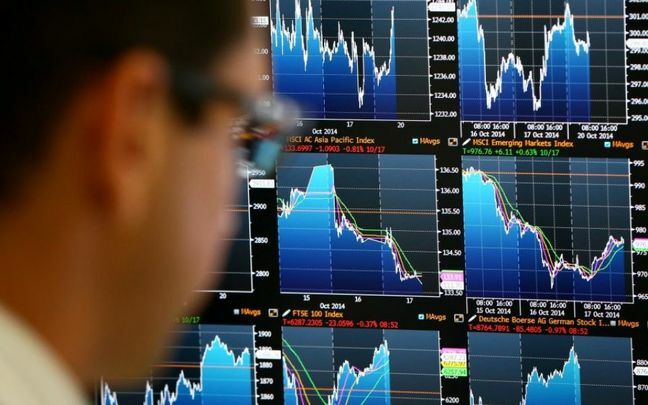 EghtesadOnline: A worsening political crisis in Italy provoked a second day of selling on European markets, with the euro cut to an 11-month low, stocks punished and short-term borrowing costs surging for the government in Rome. Investors fear that repeat elections - which now seem inevitable in the euro zone’s third-largest economy - may become a de facto referendum on Italian membership of the currency bloc and the country’s role in the European Union. Short-dated Italian bond yields — a sensitive gauge of political risk — soared as much as 80 basis points IT2YT=RR to their highest since late 2013 as investor anxiety grew, according to Reuters. The euro dropped towards $1.15 EUR=EBS for the first time in close to a year, down 0.8 percent on the day. Against the Swiss franc EURCHF=, it fell to 1.15 francs. Stocks in Milan slid 2.6 percent on the main index .FTMIB after a 2.1 percent fall on Monday. Bank shares .FTIT8300 slumped another 5 percent after losing 4 percent in the previous session, bruised by the sell-off in government bonds, a core part of bank portfolios. "It is just a slide, and as the slide continues, you ask where is the end," said Saxo Bank's head of FX strategy, John Hardy. Global contagion is a risk, he said, with the benchmark U.S. S&P 500 stocks index .SPX also close to breaching some key support levels. Hardy recalled a promise made in 2012 by European Central Bank President Mario Draghi to keep the euro intact. “If this continues for another couple of sessions, I think you will have to see some official (European) response. A ‘whatever it takes’ kind of moment,” he said. Spain's bond-yield spread with Germany was also at its widest in seven months at 122 bps ES10YT=RR. Madrid's IBEX bourse .IBEX was down almost 2 percent. Asia flinched, too. Japan's Nikkei .N225 slipped 0.6 percent and Chinese and Hong Kong shares ended 0.6 to 0.7 percent in the red. [.T][.SS] U.S. markets pointed to losses later, with the S&P500 E-Mini futures for the ESc1 down 0.7 percent. The dollar was up against almost all major currencies except the safe-haven Japanese yen JPY=. The U.S. currency is heading for its best month in a year and a half .DXY - a move that is hurting many emerging market countries that borrow in dollars. EM stocks hit a five-month low while South Africa's rand led the currency retreat as it dropped ZAR=D3 1.5 percent. “The biggest contributor is fear of a euro zone crisis, and the spillover from that into demand for safe-haven currencies,” said Koon Chow, an FX strategist at UBP. Away from Europe, the focus was on the on-again, off-again U.S.-North Korean summit and the U.S.-China trade relationship. An aide to North Korean leader Kim Jong Un arrived in Singapore on Monday night, Japanese public broadcaster NHK reported, and the White House said a “pre-advance” team was travelling to the city to meet the North Koreans. The reports indicate that planning for the summit, initially scheduled for June 12, is moving ahead even though President Donald Trump called it off last week. A day later, Trump said he had reconsidered, and officials from both countries were meeting to work out details. In another sign that investors were flocking to safer bets, though, the euro hit a 11-month low versus the yen with a 1.5 percent drop to 125.10 yen EURJPY=EBS, its biggest slide in four months. Elsewhere in bonds, U.S. 10-year Treasury yields fell to six-week lows of 2.883 percent US10YT=RR after a U.S. holiday on Monday. The climb in Italy’s yields - yields move inversely to price - meant they were above the U.S. equivalent for the first time in over a year. Analysts are awaiting U.S. inflation data later in the week, which could provide clues to future interest rate moves before the Federal Reserve policy meets next month. U.S. crude futures CLc1 tumbled to six-week lows and looked set for a fifth straight day of declines. The July contract was last down 1.3 percent at $67.02 a barrel. Brent crude futures LCOc1 edged up 0.5 percent after dropping to $74.49 per barrel on Monday, their lowest in about three weeks. They were last at $75.82. Spot gold XAU was barely changed at $1,298.01 an ounce.